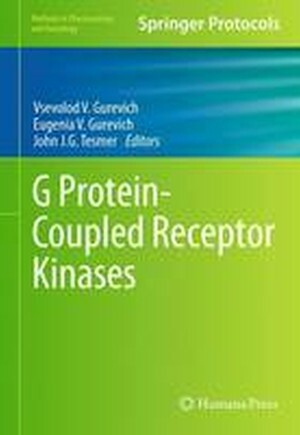 This collection explores up-to-date descriptions of known G protein-coupled receptor kinase (GRK)-dependent mechanisms, both associated with G protein-coupled receptor (GPCR) functions and the receptor-independent. The chapters cover a wide range of studies from invertebrates to humans, with sections of the volume covering GRK structure, mechanisms of activation, and interaction with GPCRs, GRKs in cell signaling, as well as physiological and pathophysiological mechanisms regulated by GRKs. Written for the Methods in Pharmacology and Toxicology series, this book features the kind of practical detail necessary for success in the laboratory. Authoritative and timely, G Protein-Coupled Receptor Kinases features the kind of comprehensive mechanistic elucidation of GRK functions and their regulation in cells necessary for a better understanding of cell biology as well as for devising novel research approaches and therapeutic strategies.